In which Zen Cho discloses the novels that influenced her upcoming novel, Sorcerer to the Crown. Reader, enter the giveaway – which is open to all, for chance to read the novel in advance. 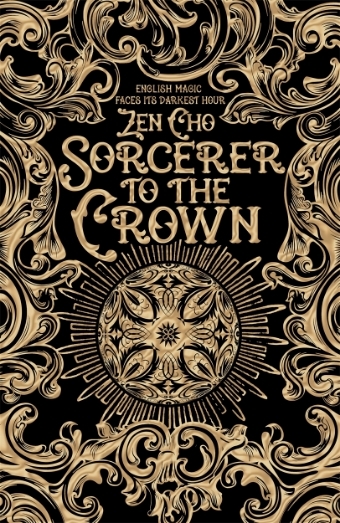 Zen Cho, known for her delightful short stories and novellas, has her first novel, Sorcerer to the Crown, coming out in early September. We invited the author to talk about inspirations and influences. Please give a warm welcome to Zen Cho! In Sorcerer to the Crown, Regency England’s first African Sorcerer Royal Zacharias Wythe is trying to reverse the decline in England’s magic, when his plans are hijacked by ambitious runaway orphan and female magical prodigy Prunella Gentleman. Hijinks and disaster ensue! Sorcerer is a book deliberately and openly written to its influences, in part because that is the sort of writer I am: I’m a remixer. I get my ideas by stealing them from other people. Often the theft is not obvious, because, of course, to make it interesting you have to make it your own. I once wrote a novelette called The House of Aunts which is a version of Twilight, but nobody could tell because it’s set in a small Malaysian town; the girl is the vampire; the vampire is not even really a vampire; and there are a lot of aunts. Sorcerer to the Crown‘s antecedents are a little easier to trace. One of the most common comparisons has been to Susanna Clarke’s magisterial Jonathan Strange and Mr Norrell, a book I love (if you ranked the book and my friends in order of how much I love them, Jonathan Strange and Mr Norrell would come above everyone I met in primary school and just below anyone I’d invite to my wedding). It’s a comparison that any other book can only suffer from, but it’s pretty obvious why it’s being made. Sorcerer is set in a version of Regency London where magic is being done; however, there is not as much magic as everyone would like there to be; and the book deals with issues of gender, race and class. Despite that, Sorcerer‘s most direct parent is actually the frothy Regency romances of Georgette Heyer. Like Heyer’s romances, Sorcerer features a powerful man who meets a scrappy, irrepressible woman with somewhat less money and power. There are balls, banter and hijinks. There is even a sequence in which the two main characters stay at an inn and the enforced time together helps them to understand each other better. Because I was trying to write something I’d personally enjoy as a reader, I also stuck in some P. G. Wodehouse, who was writing and publishing around the same time as Heyer. Wodehouse’s stories are ostensibly set in a different era, but let’s be real: the worlds of the books of both Wodehouse and Heyer never existed. 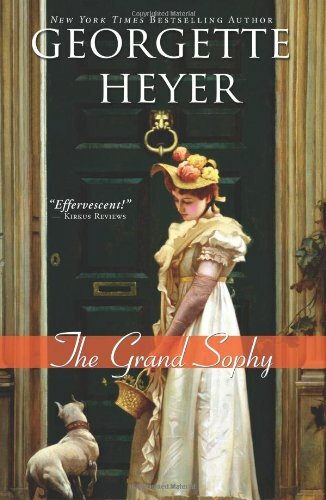 Heyer’s rakes and ingenues and Wodehouse’s hapless dandies cavort in a delightful, absorbing, politically distasteful and wholly fictional Arcady. I wanted Sorcerer to have that quality of joyful artifice, that sense that the reader is in on a delightful joke (though I was trying to ditch the dodgy politics, or at least to question them). Sorcerer abounds in fearsome aunts of the kind that terrified Bertie Wooster. A version of Bertie himself features in the book, along with a take-off of Wodehouse’s less famous but equally lovable Psmith. And Zacharias Wythe is compelled by noblesse oblige to stand in for a friend when he is subjected to the worst trial aunt can devise: giving a speech at a girls’ school. Finally, I added a pinch of school stories, because like every other Anglophone kid in the former British colonies, I grew up reading Enid Blyton and puzzling over what “tongue sandwiches” were. I always liked Blyton’s school stories best, and some of Sorcerer is set in Mrs. Daubeney’s School for Gentlewitches, where Prunella Gentleman grows up an orphan, part of the school community and yet not quite belonging. Mrs. Daubeney brought Prunella up, but has her own interests and priorities. Prunella’s vexed relationship with her draws on another children’s book set in a school: A Little Princess, with the tragically orphaned, much oppressed Sara Crewe and the straightforwardly evil headmistress Miss Minchin. You kind of see how Miss Minchin had her reasons, though, and Mrs. Daubeney is not altogether unsympathetic. In any case, Prunella herself, being not at all princess-like, is much better equipped for dealing with her uncertain position than Sara Crewe. Writing Sorcerer was a process of synthesis, and also of catharsis – of facing those books I loved so much as a kid and forcibly inserting some of the many things they left out, including people like me. It couldn’t have been written without all the books that went before it. It is still something new, I think, and I hope it is something enjoyable. But that’s something readers are going to have to decide for themselves. 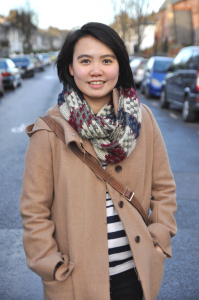 I was born and raised in Malaysia, and currently live in England. I mostly write speculative fiction, with the occasional foray into romance. I am represented by Caitlin Blasdell of Liza Dawson Associates. My ideal book would probably be a version of Anne of Green Gables, set in Asia. With dragons! My short story collection Spirits Abroad was published by Buku Fixi in summer 2014. You can find out more about it here: Spirits Abroad. I edited a Malaysian cyberpunk anthology for Buku Fixi called Cyberpunk: Malaysia, which came out in summer 2015. 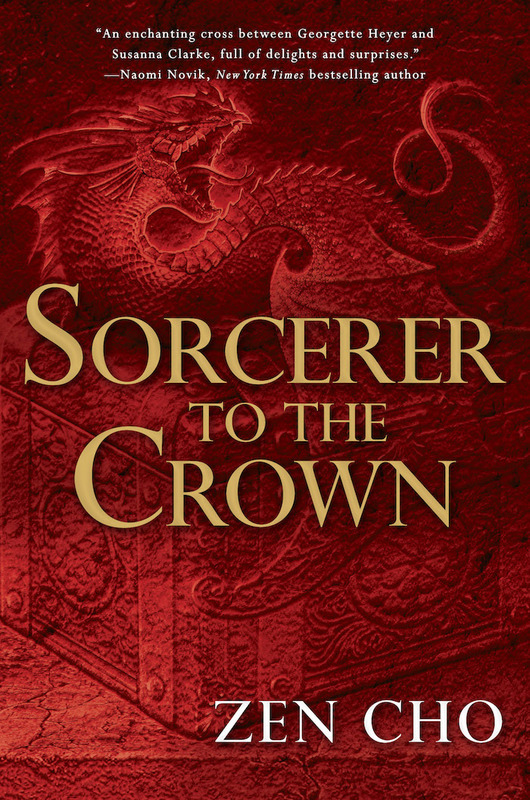 My debut novel Sorcerer to the Crown is forthcoming from Ace Books (US) and Pan Macmillan (UK) in September 2015. Find out more about it here! We have two signed copies of Sorcerer to the Crown to give away. The sweepstakes is open to ALL and will run until August 15 11:59 AM EST. To enter, use the form below. Good luck! I am SUPER-EXCITED for this book! Can’t wait to read. I am very excited to read this book. It is so in my wheelhouse, especially this year, that I salivate at the chance. And Zen is good people too. Having read the inspirations, I want to read this even more! Reading this book is something I’m reserving for a very special celebratory occasion! (Finishing good art?) ALSO, THAT COVER, OMG. I’ve pre-ordered it from BD and can’t wait for it to come… even though it’s not even out yet and I should turn off the “eagerly anticipating” radar until September. BAH. I usually dislike hype — it gets tiresome, you know, since most of the time it makes pretty poor reading for everyone else — but alas this time I myself am caught in its inescapable thrall. HYPE. The book has threads to Jeeves books?! OMG GIMME NOW. Haha, yes! I deeply loved Mallory Towers etc as a kid but ‘tongue sandwiches’??? They did not sound appealing. Well, this book sounds like it will be right up my alley. I’m really looking forward to it. Sounds like a great book! And it also makes me want to read the ones she mentioned. Been hearing many good things about this book. This looks like a gorgeous book. I can’t wait to read it! After reading this I am ridiculously excited to read Sorcerer to the Crown. I’ve been looking forward to this for a while – fingers crossed! I wanna read this book SO BAD! 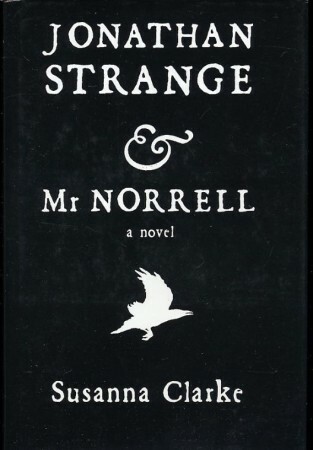 Jonathan Strange & Mr. Norrell! Scrappy heroines! P. G. Wodehouse! GOD, these are all my favorite things! Was barely on my radar, but that list of influences has me salivating. I loved her choice of the word “remixing.” I was just at another blog where the question of “borrowing v. stealing” was discussed. I wish I’d had “remixing” to throw into the thread. I have actively been envying anyone and everyone posting on Twitter about how they’ve read it and how awesome it is. I’m so excited for this book and jealous of everyone who’s already had the chance to read it! This looks like it was made for me. I’ve added it to my wish list since I don’t have much luck at actually winning giveaways. 😉 Thanks for the giveaway. I’m super excited both this book. I really loved The Perilous Life of Jade Yeo. This book sounds like a dream come true. I’m so glad to hear someone actually wrote it! I loved Spirits Abroad (fellow Malaysian here! but also because it’s a great book all around) so super duper excited about Sorceror to the Crown! This sounds pretty interesting, and I’m really excited by the comedic influences! Sounds like a perfect rainy day with a cup of tea book. I’m partly through Perilous Life of Jade Yeo, and this just makes me MORE excited for Sorcerer to the Crown! this sounds exactly like the kind of froth I love dearly. Purposeful froth is such the best kind. I’ve been looking forward to reading this book as soon as I read the summary on Goodreads. It looks like it’s going to be amazing! Magic? Sorcerers? Excitement level: Over 9,000! This does look amazing. A great post too. This book sounds like a medley of everything I love, with other things I never even knew I’d love this much, except even better than that? I honestly can’t wait. (Wodehouse is one of my favourite authors, and I love that whole literary style; I love books that aren’t afraid to be playful and gleesome; I love!! these things in combination with having characters that ain’t all white dudes.) Like, I would read it anyway, because I’m a sucker for ‘(In magical service of some sort) to (any specific authority figure)’ stories, and then again because I’ve never been disappointed by Zen Cho’s work. This is like three layers of exciting. I really like some of the influences listed, so this is likely to be a book with many things I like to read in books. So I am looking forward to read the book. I bought the Spirits Abroad ebook after so many people recommended it during smugglivus 2014, and after reading The House of Aunts online. When I finished the book, I just had to read Jade Yeo (which is delightful). I’m so excited for this! Even though I already bought too many books this summer… oh well. I’m reading (and loving) Jane Eyre and Jonathan Strange & Mr. Norrell at the moment and love a bit of Woodhouse so I’m so so stoked for this book! So excited! I can’t even remember when and where I first heard about it, but it caught my attention pretty much immediately, and I knew I had to read it! So proud of Zen Cho! Can’t wait to read the book! Still my favorite author. Ready for this. My ideal book would probably be a version of Anne of Green Gables, set in Asia. With dragons! I love Zen Cho’s short fiction so I’m super excited for the novel! This looks really fun. 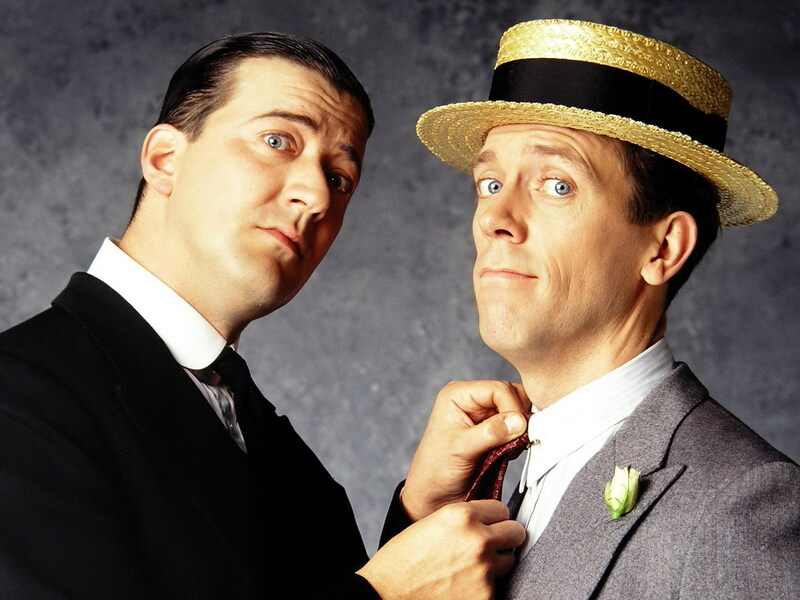 I love Jeeves and Wooster and the idea of terrifying Aunts. You had me at Enid Blyton! Super excited, with sprinkles of more excitement on top! Have enjoyed your short stories. This book looks like it feeds all my fannish wants, from Wodehouse to Heyer to school stories.